Note: I have fixed the link on the last pattern. Welcome to my post for Halloween Haunts 2015. Sorry to be a little late! Many thanks to Marian to organizing this hop! For my projects I chose two birthday gifts that I made for my family. 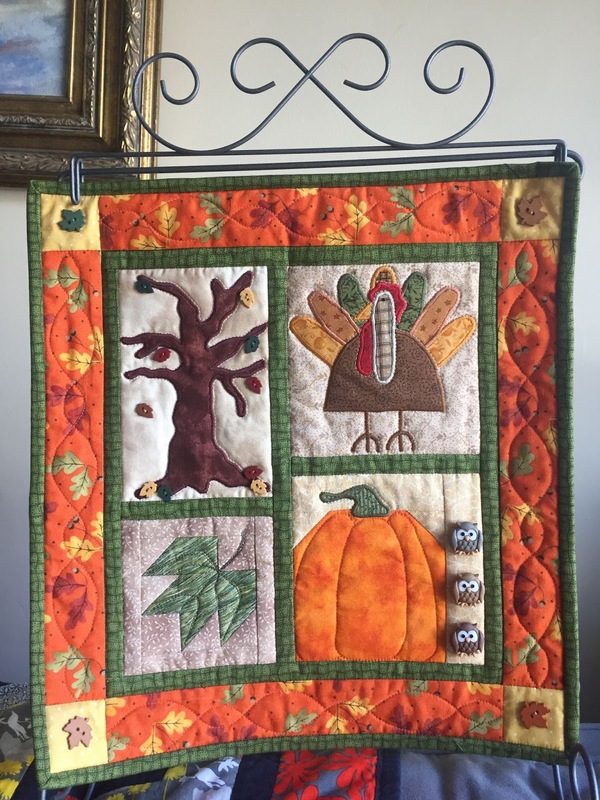 First I made my wonderful daughter-in-law a fun little fall table stand quilt. She loves fall so the quilt reflects that. The pattern is a Debbie Mumm but I changed it to fin the frame. She loved it! The next project I designed and made for my oldest son. 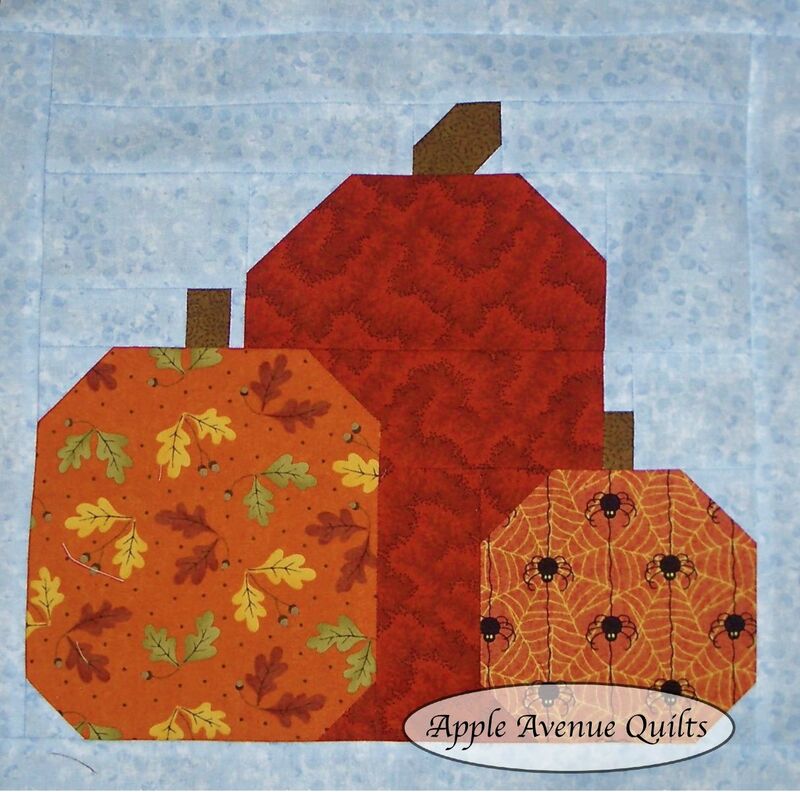 When they visited this fall his little son loved pumpkin quilts, so pumpkins it was. And without all the staging. I have a few patterns in my giveaway projects that you might enjoy making. These can be found in the tabs at the top of the page under Free Block of the Month 2012. This pattern can be found here. 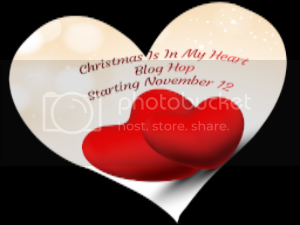 Please be sure to visit the other blogs today! Those are really nice gifts for your family - I should do that for a Christmas gift for my daughter who just married and moved far away with her Marine Corps hubby - Send a frame and mini for December, then send a mini each month all next year. :) That'll give me something to think about them as I work on the table minis, and deliver fresh smiles to them each month as they both miss home. Those are so cute and are such nice gifts. Those are beautiful! I like the idea of giving the minis as gifts. Thank you for sharing your patterns. Love your little hangings! The table stands are so nice to change out for the occasion. Thanks for sharing! What a great gift idea to make a little mini quilt...yours is so cute! Beautiful BOM you're sharing! Those are sew cute! Thanks for sharing the patterns. I love those owl buttons too. Love your little quilts! Those table stands make great gifts since once you give them, you can make different quilts to give as future gifts. In fact I bought a stand with the intent to do just that and have now had it for a couple years -- I need to get on that! Your table stand quilts look wonderful! I love the special buttons that you added. Mini's are so fun. Great way to quickly change up a room for the season. Very nice! lovely fall colors, adorable pumpkins. Great job. What wonderful mini's! Fall is my favorite time of year so these projects are right up my alley. i love wall quilts, so easy to whip up at the last minute if you're running late, like me always. Love your projects. I want to do a set of mini's for a table frame too. Might have to start with October! Thanks for sharing. 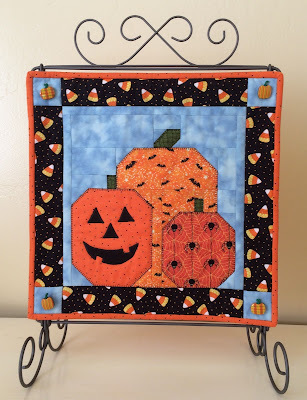 I Love Your Halloween Quilt! The Ceramic Leaf and Pumpkin Buttons Add Texture! Your Pumpkin Quilt is Cute Too! Love Your Choice of Fabrics! Thanks for the Free Patterns! You are right...PUMPKINS IT IS! I loved both of your projects and I know your birthday members did too!!! Such good work on the quilting and the fabrics you chose...EXCELLENT! They are all beautiful! I am like your daughter-in-law, I too love fall and all its colors. I love your minis! Fall is my favorite time of year too! Great quilts! Very festive. Thanks. All of your projects are just so beautiful! Thanks! Love the little quilts. They make such great gifts and work up quickly when you decided what you want to do. 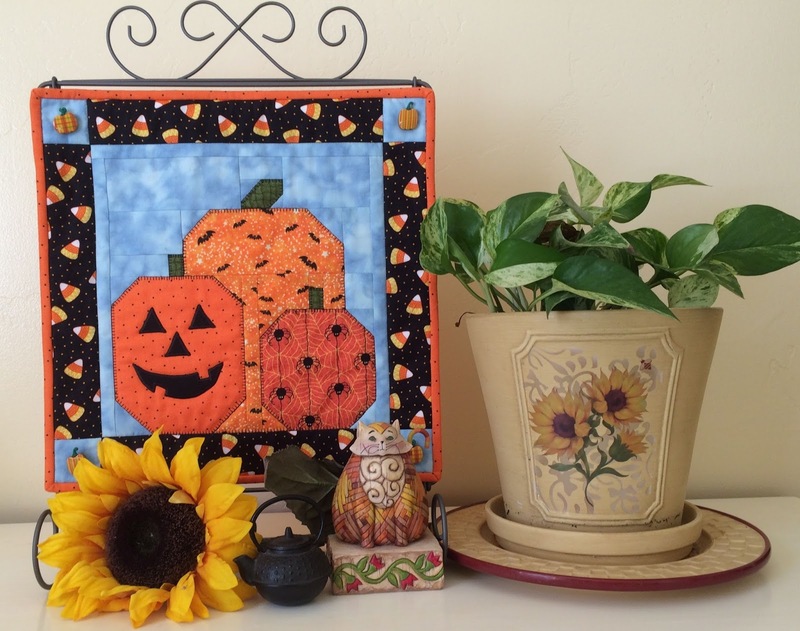 Your pumpkin quilts are really cute. Happy Halloween. I love the mini quilts. Have started some as gifts -- only problem is that I always want to make a duplicate for myself!! I really like the mini quilts. I can't link for the one "This pattern can be found here." doesn't work for me. Has anyone else reported this? Love the pumpkins. Both wall hangings are wonderful. Cute projects. Thanks for sharing! What lovely fall colors! 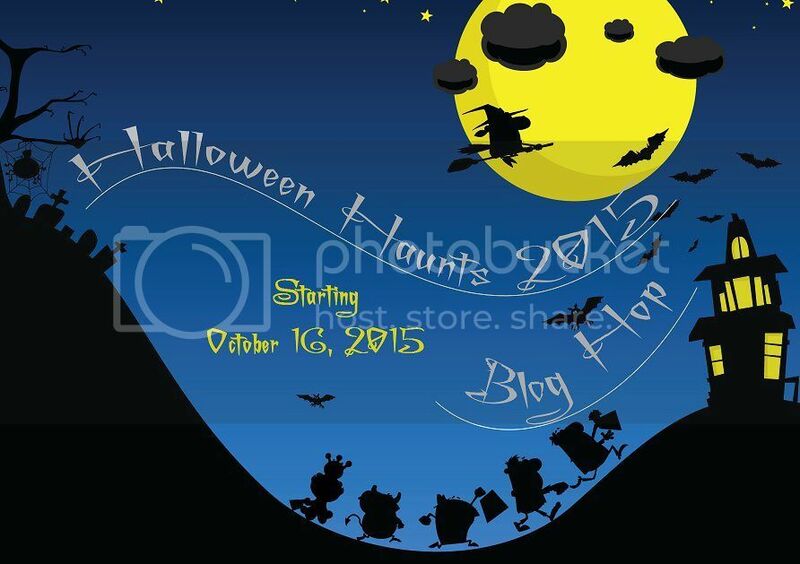 Your beautiful creations are perfect for Halloween and for the whole season! I love your projects, especially the small pumpkins. Very clever. I liked the last quiltlet, too, but the here link didn't click for me. Thanks for the others, though. I appreciate it, and so does my budget! You are such an inspiration. I love all your mini quilts and table topper quilts. Thanks for sharing with us. I am such a klutz that I have never considered making mini quilts but your site has inspired me. Thanks for Halloween fun. I love your fall mini quilts, they fit the season well. Very nicely done! Love the fall colors. I love these projects, so many wonderful things and then to give it away, I just love the delight and joy seen on a face of someone who loves their gift. The free pattern also makes for a lovely bonus. Thank you so much. 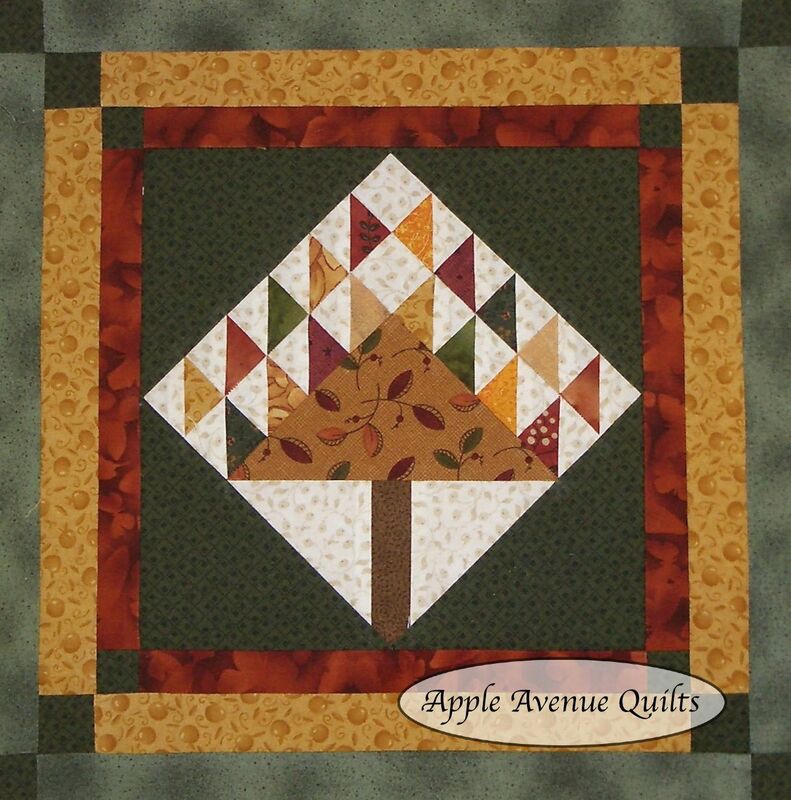 You have a very nice selection of Harvest quilts. Thanks! I love your little quilts! How cute - will definitely make one. Thank you for sharing your patterns. My niece is moving into her first home--I'm thinking that for Christmas, if I hurry, I could make her small wallhangings for each holiday. Perhaps I should settle for sending her a wallhanging for each holiday? Do all quilters dream (too) big? Well, your patterns will give me a great start for her autumnal gifts. Many thanks. Wow, you were sew busy! Really neat finishes! You are so creative and generous, too! Thank you for the free patterns. I love pumpkins too! Very cute projects. I think I need to do more small projects, get something done more often. Love those pumpkins!!! I really need to make some Halloween or maybe even Fall themed wall hangings!! I like how you grouped three pumpkins together. They are so much more unique than just a single one. I love it! Very cute quilts. I love seeing all these great Halloween and fall quilts. Beautiful projects! The last one is my favorite. Thanks for sharing them with us. 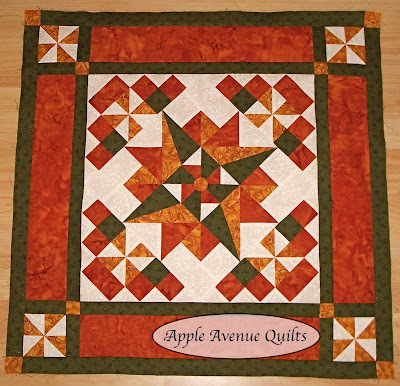 The very first quilt that you showed is one of my favorites. I love fall too and you captured it so well! Love your cute pumpkins! The fabrics you picked were perfect! I just love fall quilts! Such cozy colors! 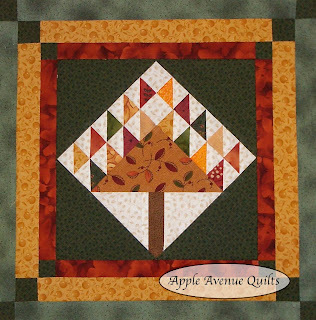 Such beautiful fall quilts! I just love your work! These are thoughtful and beautiful gifts! Love the fabrics and the patterns! Great projects! I know your family loved receiving them. Perfect for fall! Great projects! Love all the colors for the season. I'm glad I checked back, I would have missed a lovely post, I think the pumpkin quilts are brilliant. Thank you for posting the pattern! That's lovely. I'm excited to try it. I live in northern Utah. I share my life with my husband and a little Cavalier King Charles all the time, and my children, grandchildren and other extended family as often as I can. 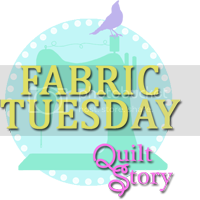 I love to quilt, cross stitch, read, and of course, buy fabric.